take hwy 120 into the park from the north entrance. 120 turns into big oak flat road. from here just a couple miles before entering the valley you will pass the falls. 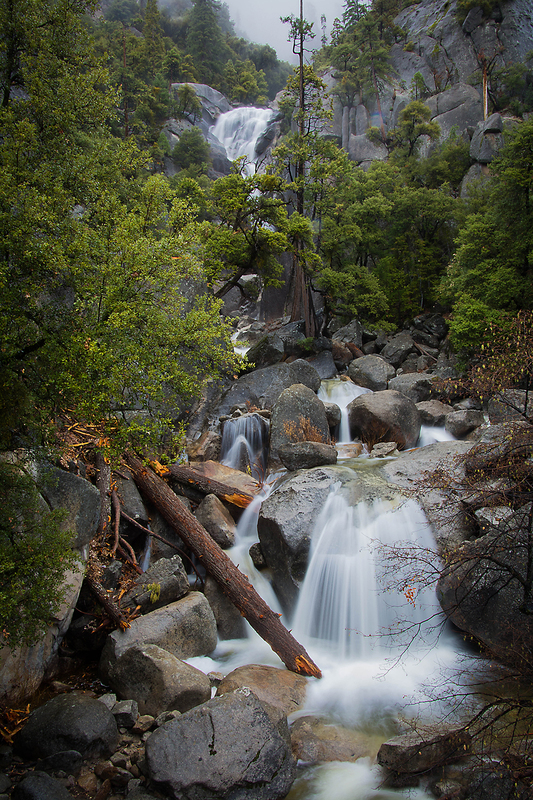 the cascades waterfall is the first waterfall that you encounter when entering yosemite. it was named in plural because the waterfall has two creeks that drop into the main falls, tamarack and cascade creeks.